Oh, Soda. How your bubbly goodness can take over our minds. I do admit, I enjoy drinking Sprite every now and then. I enjoy the carbonation and taste, but I know to limit myself. When it comes to soda, drink it in moderation. Sounds easy, right? Ha! The average American consumes around 40 gallons of soda per year. WHAT? That's insane! And if that doesn't scare you enough, get this: soda is the biggest contributor of added sugar in our diet. 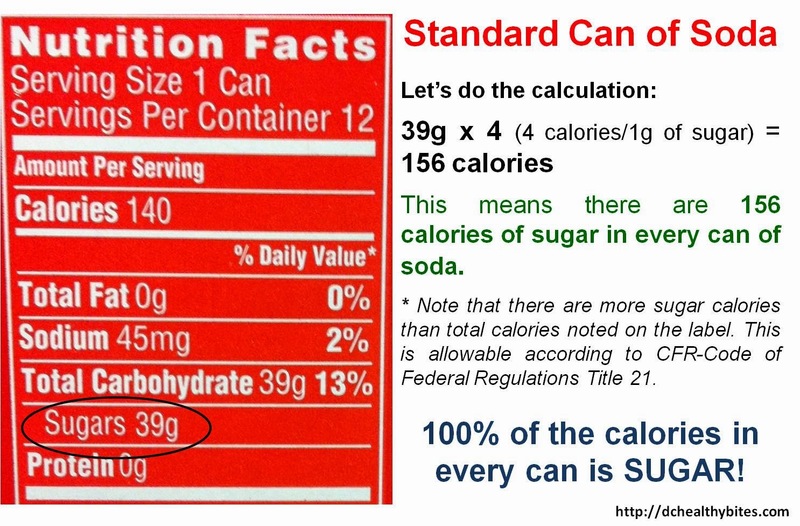 A can of Coke contains 39 grams of sugar. Coke contains High Fructose Corn Syrup (HFCS), this can cause tissue damage that may lead to obesity, diabetes, and heart disease. Nearly half of tested samples of HFCS contained mercury. Supposedly, children who consume a can of soda per day have over a 50% chance of becoming overweight or obese. 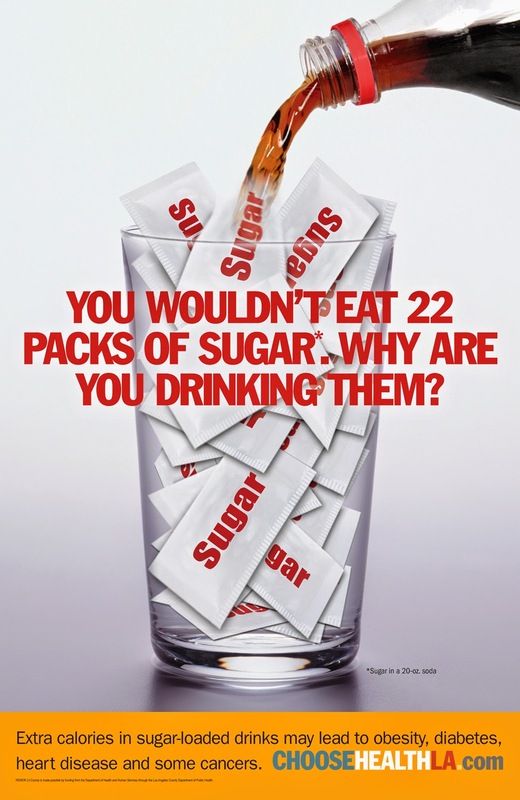 People don't realize how many calories are consumed by drinking sugary drinks like soda. One can of soda takes up over 20% of our daily calorie intake. "Well, I will just drink diet or zero calorie then!" DON'T DO IT! Diet and the "zero calorie" kinds are actually WORSE for you! The companies put added crap in them to make up for the "diet" or "zero calories"! Some of those added craps are acesulfame-K, aspartame, and saccharin. These are code words for artificial sugars that have 200 times the sweetness of sucrose. They have been approved by the FDA (Food and Drug Administration), but the CSPI (Center for Science in Public Interest) says to avoid these ingredients. They can be harmful to our bodies. They are linked to cancer, diabetes, emotional and mood disorders, vision damage, seizures, and birth defects. Also, these ingredients are found in the "healthier" sodas, but did you know that they actually cause your body to be more hungry?! Aspartame is known to do this and also cause spikes in insulin levels which leads to the body storing the glucose from your bloodstream as fat! So just be cautious of these substances! 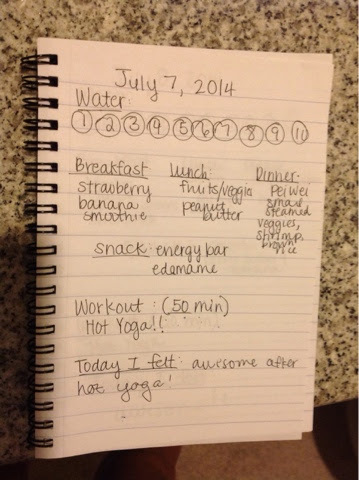 -Sparking Water… they come in different flavors and sugar free! I know, I know… You may have heard this stuff about soda like 500 times, and you don't care! If you don't really care, then that's fine! But if you're every wondering why your face is breaking out or your stomach has extra fluff, then look twice at that soda can before you complain. If you have any questions/comments, please don't hesitate to email me at funandsunwithoutthebuns@gmail.com, leave a comment below, or message me on Instagram/Facebook! Hey Callie, how have you been. This is Kiwi by the way. 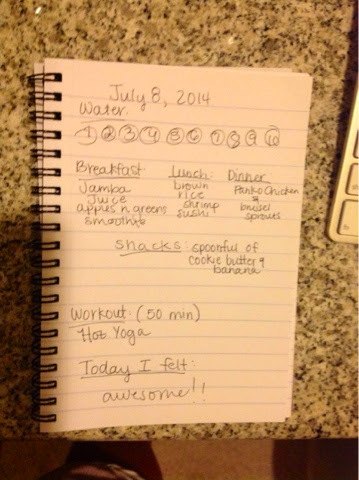 I love reading you blog and kind of inspired me to start eating healthy more. Maybe you can help me, I've recently lost weight because of stress, like 2 sizes down in pants. lol, I need to gain it back but in a healthy way and even work out. Can you help me with any suggestions?